Hi, i' ve managed to finish some things again. Since i am currently obsessed with this cute pink ponpon from H&M, that' s why its been included to my photographs today. 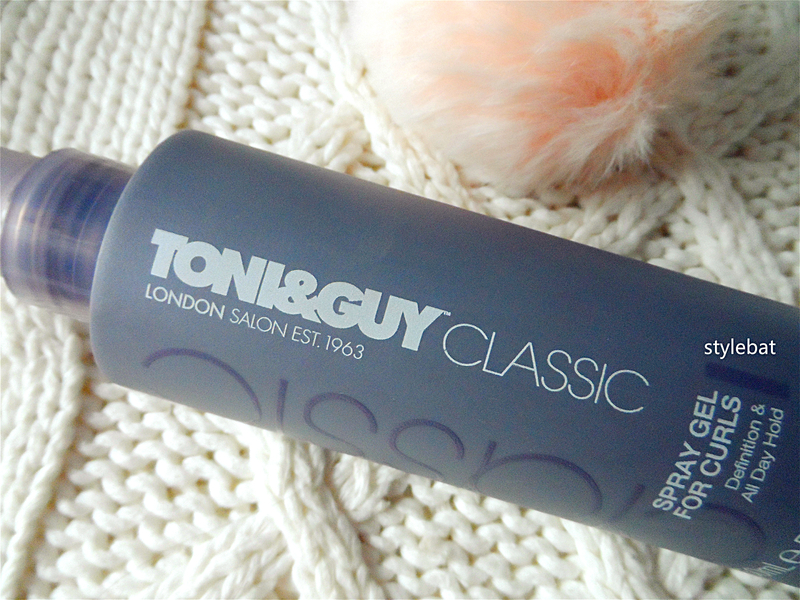 Toni&Guy spray gel for curls, yep another empty bottle of this.. I' ve talked about it many times before so will only say already purchased a new bottle and loving it. 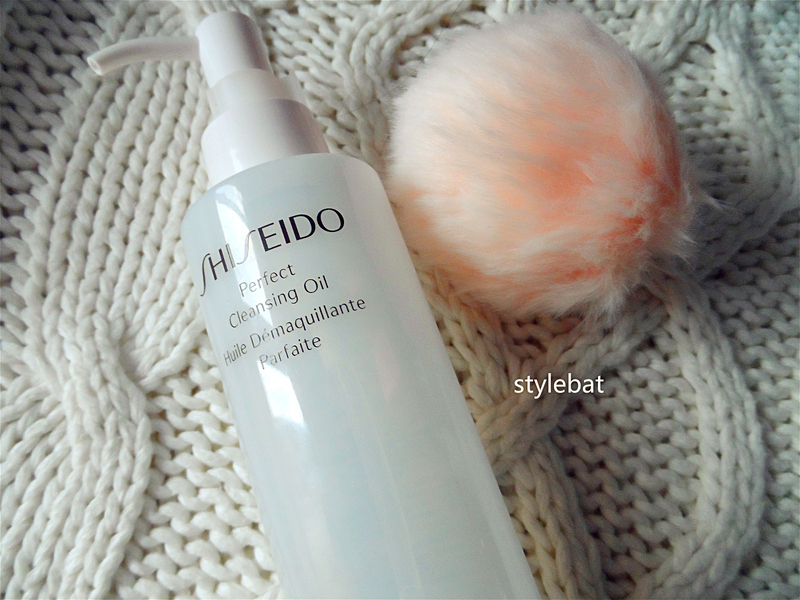 My precious Shiseido cleansing oil finally finished.. I feel said since its quite expensive but then it lasted me a year! And i used it almost everyday to take of my make up. 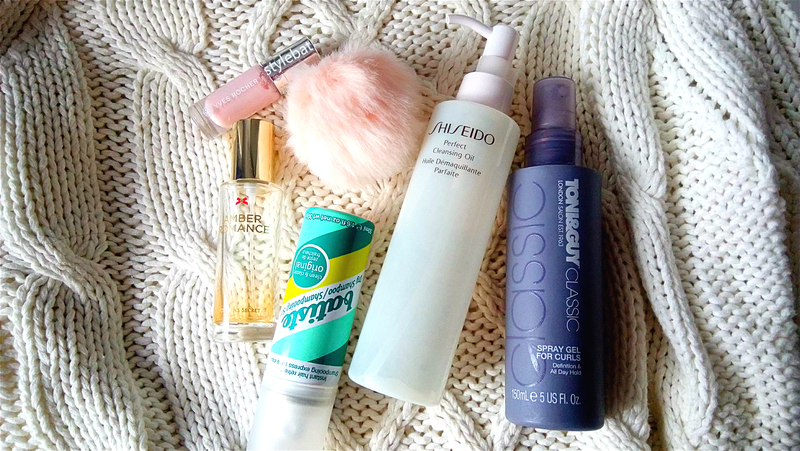 After finishing my other makeup removers, i will happily buy this one again. 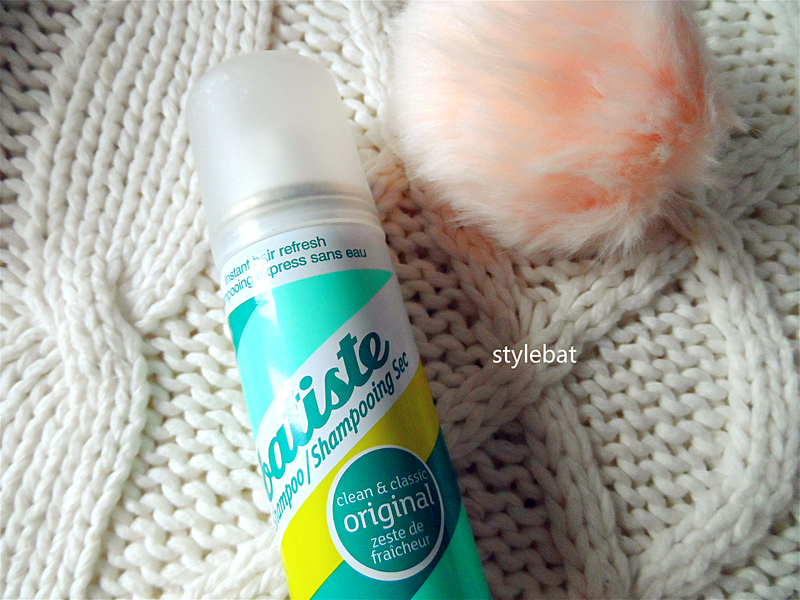 Batiste original dry shampoo was allright. But i can' t see myself buying it again since i love xxl version more. Yves rocher nail polish in colour 26 rose perle. 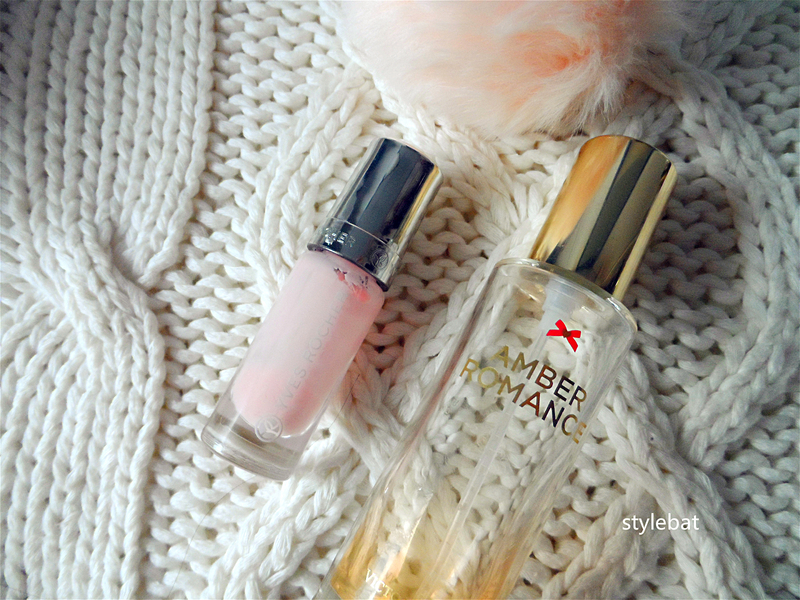 YOU NEED THIS NAIL POLISH IN YOUR LIFE! I am serious. The shade is so pretty but not only that, it dries so fast and staying power is great. Its brush is very well designed as well. This was the only nail polish i' ve used for a month! Simply didn' t want to use anything else, and yes already started using my second bottle. Victoria' s secret amber romance edt was quickly finished since its lasting power was not so strong that' s why i kinda used it as a body sprey lol. But so many, i mean so many! people have asked me what i am using as perfume and many asked there is someone smells so nice in the room,, then they discovered its me. Personally i always loved vanilla fragrances and really enjoyed this warm vanilla again but next time i am planning to get body sprey of it since it would be wiser. Soon a victoria' s secret store is going to be opening in my city so really excited about it, planning to get my amber romance from there. If you have any suggestion from victoria' s secret please let me know on the comments.